It’s rare to find a debut artist who brings mostly original music. Even rarer when the artist leads a large ensemble but does not perform as a musician. 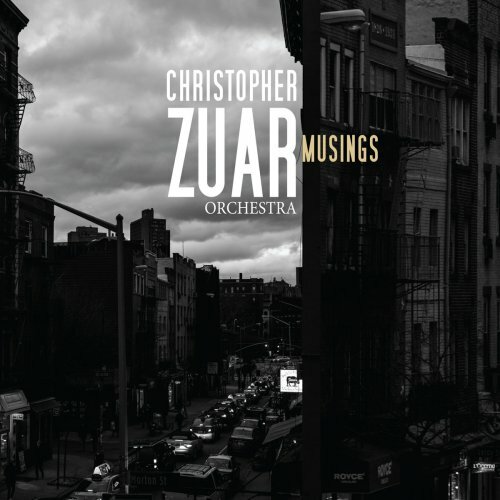 That’s the case with the Christopher Zuar Orchestra’s Musings (Sunnyside Records, 2016). With liner notes by the album’s producer and fellow jazz artist, Mike Holober, Musings takes the listener on a journey of thought, expression and virtual scenescapes. The musicians are Dave Pietro, alto and soprano saxophones, piccolo, flute and alto flute; Ben Kono, alto and soprano saxophones, flute, oboe and clarinet; Jason Rigby, tenor and soprano saxophones, flute and clarinet; Lucas Pino, tenor saxophone and clarinet; and Brian Landrus, baritone saxophone and bass clarinet; trumpets and flugelhorns by Tony Kadleck, Jon Owens, Mat Jodrell and Matt Holman; trombones by Tim Albright, Matt McDonald and Alan Ferber; Max Seigel on bass trombone; Pete McCann on electric and acoustic guitars; Frank Calberg on piano and Fender Rhodes; John Hebert on acoustic and electric bass; Mark Ferber on drums; Rogerio Boccato, percussion on three tracks; and Jo Lawry, voice on four tracks. 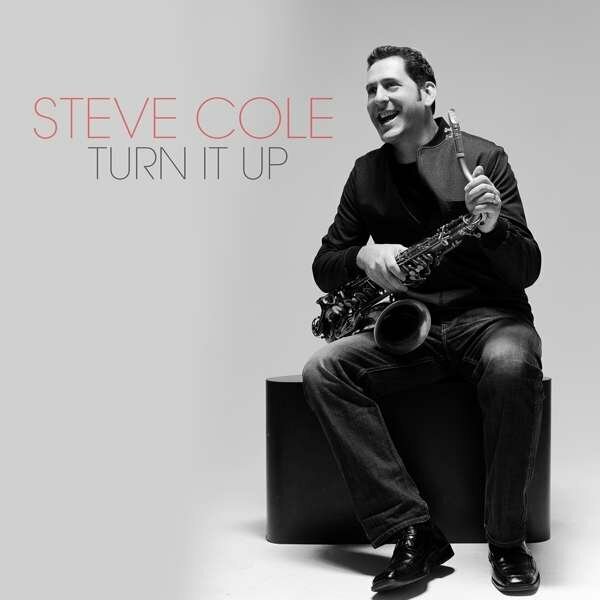 Saxophonist Steve Cole has made a great impact on the smooth jazz scene with Stay Awhile (1998), Between Us (2000), NY LA (2003), Spin (2005), True (2006), Moonlight (2011) and Pulse (2013). Now he returns with a new shining star. Turn It Up is his call. The supporting team hasn’t changed very much compared to his previous album. David Mann (sax, flute, keyboards, synth bass, programming), Ricky Peterson (Hammond B3), Nicholas Cole (keyboards, synth bass, programming), Khari Parker (drums), Bernd Schoenhart (guitar) are being strengthened by Lamar Jones (bass), James Lloyd (piano) and Keith Fluitt (vocals). Turn It Up is produced by David Mann. His specialty are fine horn arrangements giving every sax album a powerful background. Sidechain starts pumped up that way. Trevor Neumann on trumpet, Dan Levine on trombone and David Mann on sax flavor Cole’s performance. Swiss-American keyboardist Greg Manning is perfectly at home in the Smooth Jazz scene. He worked as musical director with Jonathan Butler and also performed with Brian McKnight, Kirk Whalum, Will Downing, Richard Elliot, Gerald Albright, Chante Moore, Mindi Abair and many more. His debut album Soulciety was released in 1999, followed by his sophomore album The Calling in 2010 and Dance With You on Kalimba Music in 2014. His newest album is entitled Sugar & Spice. This album is scheduled for release July 22, 2016 and available at Amazon.com. A native of Hampton, Virginia, Ron Gilchrist grew up in a large family where love, spirituality and humor prevailed. At the age of six, he was given a set of drums and in middle school mastered the art of reading percussion music. Later, he decided that the saxophone was his first love. Ron has performed regularly with Rudy West & The Five Keys, The Coolin’ Out Band and Azalea. Saxophonists who have most influenced him have been Boney James, Grover Washington, Jr., and Najee. The songs Ron chose for this, his first solo album constitute a mix of classic and recognizable contemporary pop, R&B and rock tunes which lend themselves to his Smooth Jazz treatment. He believes these songs will give listeners an opportunity to relax and enjoy real music. ISAX4U is your next option at CDBaby. 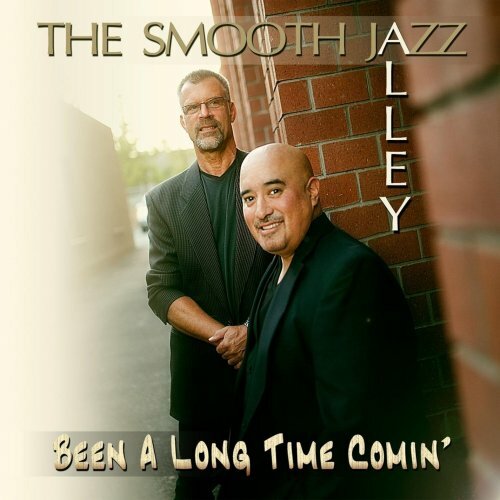 The Smooth Jazz Alley is the result of musical inclinations and fateful encounters. Keyboardist Marco Montoya and guitarist Stanley Evans first met in the Latin band Grupo Caribe. Already infected by the smooth jazz virus Marco suggested Stanley to create this formation. The proposal striked fertile soil and Stanley helped to shape the sound with his guitar. Their album Been A Long Time Comin’ (2016) encompasses original tracks by the duo, two in collaboration with Mona Attia. Both are joined by fellow musicians Kenny Franklin (bass), Miguel Melgoza and Eric Mendez (drums), Lawrence Beamen & Mona Attia (vocals), and Bill Ortega, Jr. (trumpet) on selected tracks. The harmonious synergy of the duo displays for the first time in C-Funk. A crispy tune with fresh guitar and keyboard implementations of a high addictive degree. Lowell Hopper is a guitarist, bassist, keyboardist, and producer, known mostly for his soulful, funky, and jazzy guitar style. Growing up in Virginia, Lowell was introduced to music at an early age as he would often listen to his father play the acoustic guitar and sing around their house. Lowell began playing guitar at age 6, and was playing guitar and bass in RnB and blues bands in night clubs by age 15. After college, Lowell joined the U.S. Air Force during when he was inspired to start writing and producing his own music. Throughout Lowell’s twenty-year Air Force career, he performed and recorded with numerous jazz artists in Germany, Panama Canal, and Florida. Today, he performs regularly in jazz and funk bands in northern Florida. His loyal followers span generations, and have enjoyed his performances over and over. Lowell has released eleven albums: “Bay View” in 1993, “Invisible Touch” in 1995, “Live in Panama” in 1997, “Live on the Beach” in 1999, “Sweet Licks” in 2009, “In The Moment” in 2011, “A New Direction” in 2013, “A Touch of Sunshine” in 2014, “Soulful Feeling” in 2014, “Groove Maker” in 2015, and “Between The Lines” in 2016. Between The Lines is guitarist/multi-instrumentalist Lowell Hopper’s 11th album and it is packed with a rich selection of funky grooves and soulful jazz tracks! Get it now at CDBaby. True Stories, recorded over an intensive three-month span, is a refreshing elixir that will delight devout fans of The Rippingtons and attract new ones. Joined by original Rippington, alto and soprano saxophonist Brandon Fields, drummer Dave Karasony, bassist and rhodes player Rico Belled and special guest Jeffrey Osborne, Freeman orchestrates ten compelling originals. The album opens with the hypnotic and scintillating “Wild Tales,” the CD’s first single, which Freeman calls an “experiment in randomness.” Fusing elements of jazz with traces of EDM and world influences, The Rippingtons foreshadow the journey ahead and promise it to be nothing short of exhilarating. Many of the classic Rippingtons hit repertoire prominently feature rich saxophone melodies and this time out Freeman showcases his unparalleled guitar wizardry.